I'm so excited to share this DIY with you! Today, we're going to be making DIY liquid Starbucks Frappuccino picture holders! Not only are these Starbucks picture holders cute and fun, they're also highly functional in holding your polaroid pictures (or memos/inspirational quotes). These cute mini DIY Starbucks picture holders also make great room decor pieces, as well as gift idea! 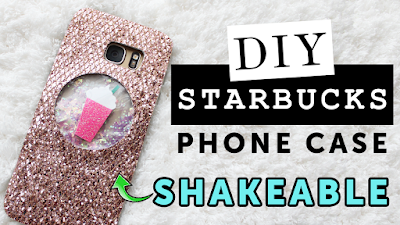 Did I mention that there's liquid on the inside of this mini DIY Starbucks picture holder? Oh yeahh, the liquid inside the cup moves! I hope you'll give this DIY a try and that you'll have fun making it! 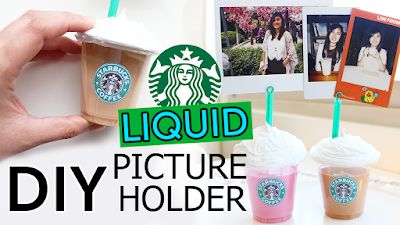 If you made your own DIY Starbucks picture holder, please take a picture of your creation and share it with me because I would love to see your creation and I would love to feature it in my next DIY video! I'm back at it again with another DIY this week! We're going to me making our own customizable DIY stickers & DIY sticker book! I love stickers but sometimes it's difficult finding the right stickers, and in my case, I'd have to travel to Asia to purchase the stickers I like. Not anymore because I can make them myself, for a fraction of the price! 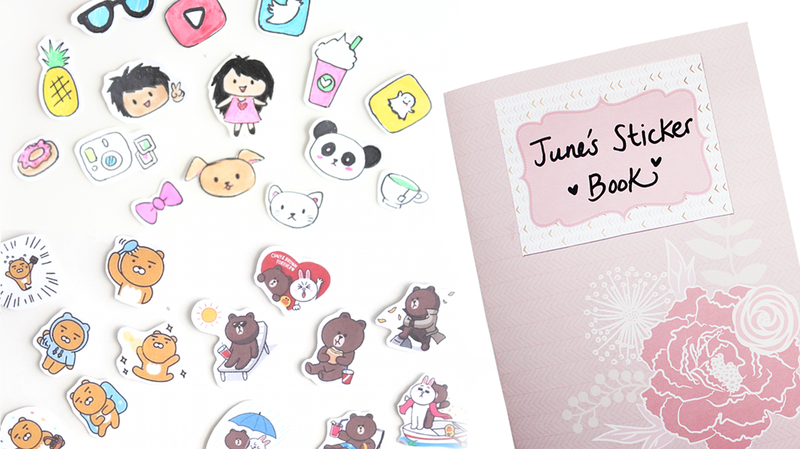 I hope you'll like this DIY stickers and DIY sticker book tutorial! If you made your own stickers and sticker book, please take a photo of your creation and share it with me because I would love to see your creations and I would love to feature it in my next DIY video! Please send pictures to my Instagram/Facebook/Twitter @JuneBeautique. I'm so excited to share my newest DIY with you on how to make this cute DIY clear pencil case/makeup bag! 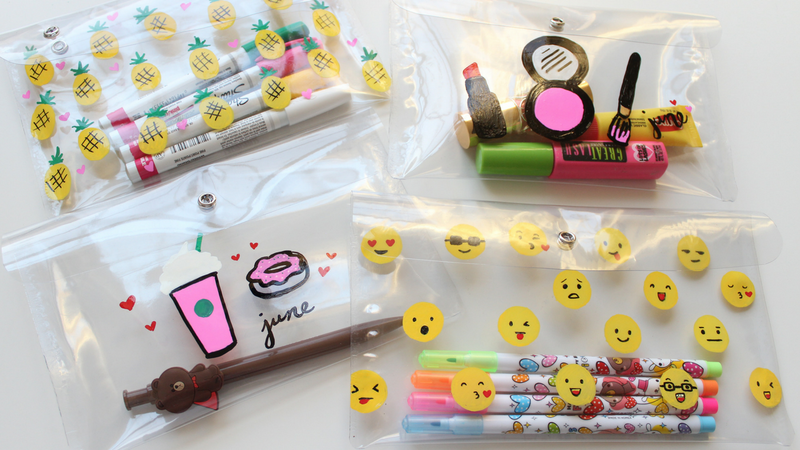 You can decorate and customize your own design with this DIY makeup bag and/or DIY pencil case. These also make great customizable gifts for your friends and family!Please feel free to make changes to the sizing your bag; you can even turn it into a coin pouch. It's really up to YOU. I hope you like this DIY project enough to give it a try. Let me know in the comments which DIY pencil case or DIY makeup bag is your favorite! If you re-create this DIY pencil case or makeup bag, please take a picture and share it with me via my social media. I would love to feature your photo in my next DIY video!